One of a kind, unique townhouse in a historically protected 100 year old colonial house ("casa chorizo") that was converted in the 1990s into five, 3-level (2-story) townhouses. Each has its own individual entrance off a long interior plant-filled walkway, and each has its own private roof top terrace. Very little street noise because the units are built back away from the street. Open floor plan with 11 ft ceilings: combined living room and kitchen downstairs.. and one bedroom, one bath upstairs. Spiral stairway takes you from the bedroom area up to the private roof top terrace. Very cute and cozy with a modern architectural vibe, including polished cement floors. Lots of windows, great light (both northern and southern exposure). Metal bars on the windows and doors for extra security allow you to leave the windows open at all times (an advantage during the summer). Roof top terrace has covered eating area with patio set/dining area on one end; and plants and plenty of sunshine on the other. 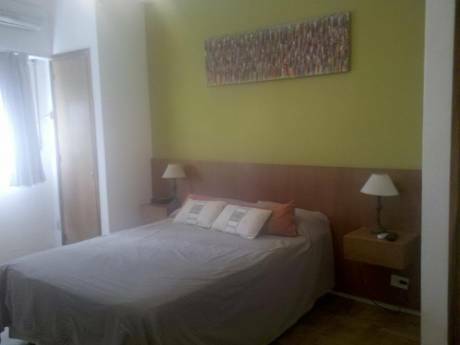 Includes high speed broadband wireless internet (WiFi). And if you have a bigger group or family gathering, we have an adjacent two bedroom townhouse (@750 square feet)-- with it's own private roof top terrace (200 square feet)-- in the same building. Both townhouses are FOR SALE. More information available by email. Fabulous location in the very heart of San Telmo, just steps away from the old Mercado San Telmo, the Plaza Dorrego and Defensa Street. This neighborhood has a decidedly urban bohemian feel and is the home to many artists, musicians, actors, and film makers. Lately it has become a popular backdrop for American and European production companies shooting TV commercials. 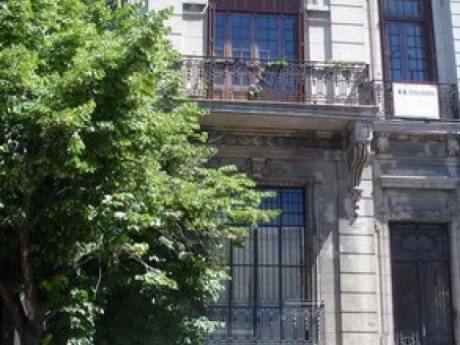 Also located nearby, the Argentine Film Museum, the Museum of Modern Art and the private film school: La Universidad del Cine (FUC). Cobblestone streets, beautiful old colonial architecture, a multitude of great cafes, bars, restaurants, tango clubs, museums, tons of antique shops, and host to a huge flea/antiques market every Sunday in the Plaza Dorrego. Centrally located downtown, in close proximity to everything, with easy access to mass transit, subway, buses, etc. 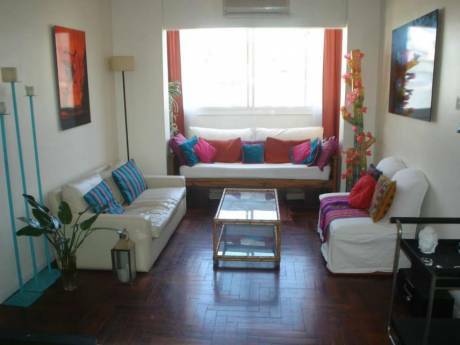 Just 8 blocks to the famous Plaza de Mayo and the Presidential "Casa Rosada." Only 7 blocks to the newly renovated upscale port area known as PUERTO MADERO, with its high end restaurants, marina, yacht club, floating casinos, and great nightlife along the river.. as well as the Parque Ecologico (Ecological River Park) with its hike and bike trails, lakes, lagoons, bird watching, and lovely picnic spots. Just 4.5 blocks to the grand avenue "9 de Julio." A 5 minute cab ride to Buquebus, the catamaran ferry service that leaves from a dock at the north end of Puerto Madero and makes daily trips to the cities of Montevideo and Colonia in Uruguay.